Miami Springs’ Circle Park is a lovely island of green, a city park with a large gazebo enclosed by a ring of trees. But much like an island is surrounded by water, Circle Park is surrounded by traffic, almost completely inaccessible to residents. Its entrance is blocked by a huge, four-lane roundabout with seven exits that discourage pedestrians and bikers from visiting, but a change is in the works. 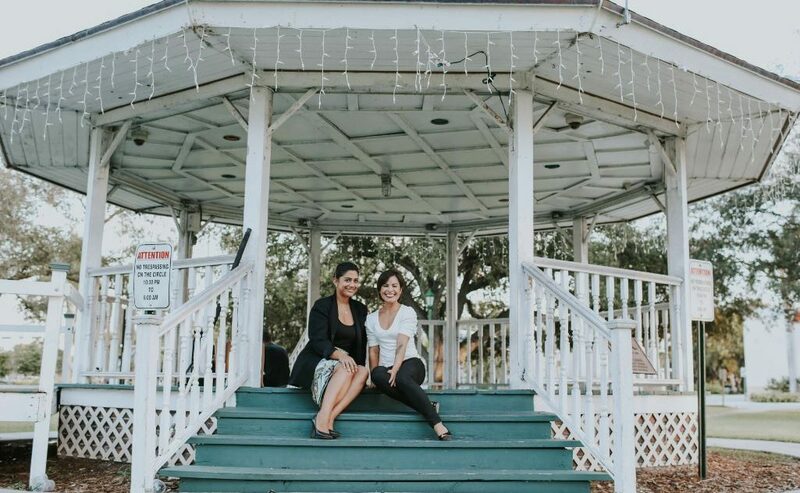 Miami Springs’ residents Jennifer Gonzalez and Maria Font submitted their idea of “Safely Making it to The Circle” to the 2018 Public Space Challenge, and The Miami Foundation selected it as one of 22 winners out of 56 finalists. The winning ideas will collectively receive more than $300,000 to make them reality. With their portion of funding, Gonzalez and Font will work with county staff to design two crosswalks that create safe park access. The idea received 527 likes on the Foundation’s website, making it the single most supported idea in Challenge history. “This is great! What is the point of such a beautiful common area if it cannot be accessed legally and safely,” wrote Buzz Fleischman in the comments section. This year, residents, organizations and public agencies throughout Miami-Dade County submitted nearly 500 ideas to the Public Space Challenge, setting a new record for entries. Since 2013, the contest has invested over $1.5 million in activations and permanent projects across the county. Other winning ideas include “Turning Brownsville Green: A Community Garden For a Miami Food Desert,” which will convert an empty lot into a space for organic gardening; #FillABag, which will provide tools for beach cleanup to residents who walk in Key Biscayne; and the “Debris Maze Challenge,” which will use litter to create an eco-art maze installation, so South Dade visitors can experience the effect trash is having on public spaces. As with previous Challenges, The Miami Foundation will collaborate with the Miami-Dade County Parks, Recreation and Open Spaces Department to connect Challenge ideas to the Open Space Master Plan. The comprehensive, 50-year vision looks to create a seamless, interconnected and sustainable system of parks, public gathering places, trails, waterways, greenways and streets throughout the county. The Foundation invited applicants to review the plan, and think about how their 2018 ideas fit within it. Lead sponsor Target supported the Public Space Challenge because the Challenge’s long-lasting impact on Miami-Dade aligns with its efforts to contribute to thriving communities and a healthy environment. Each winner will receive technical assistance from The Miami Foundation to work with county and municipal offices in executing their projects. The full list of 2018 winners is here. To learn more about this year’s winning ideas, visit PublicSpaceChallenge.org.